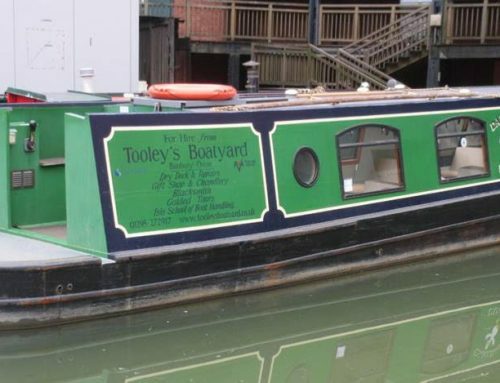 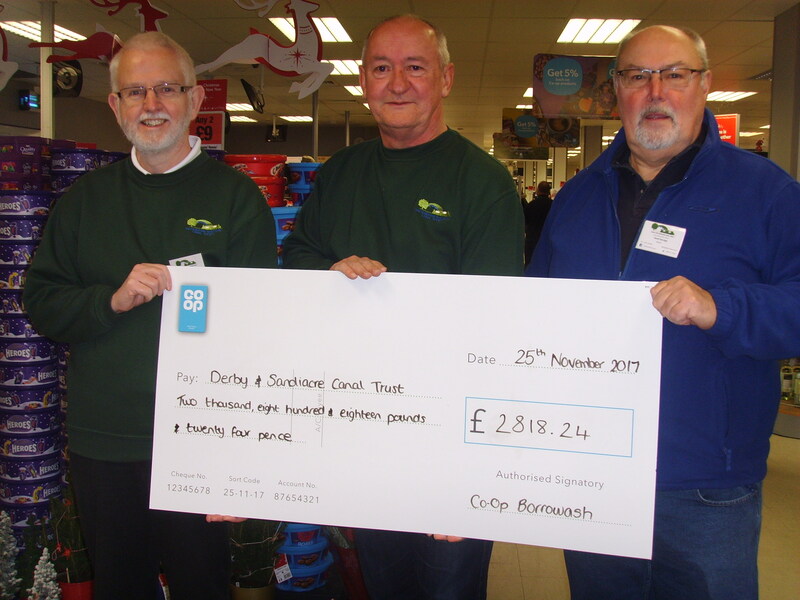 Following the latest round of Co-Op Local Community funding, the Derby and Sandiacre Canal Trust is pleased to announce that it has received £2818.24 from the Borrowash Store as one of three supported charities. 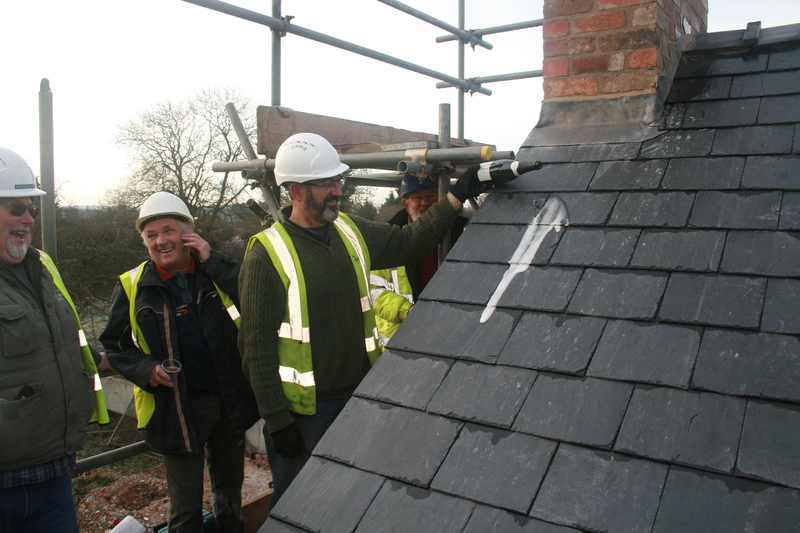 The Trust applied to the Co-Op for funding to assist with the restoration of the lock chamber at Borrowash. 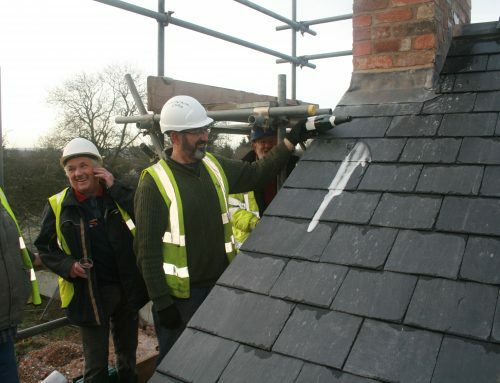 Volunteers are preparing the ground for specialist volunteers visit the site next summer when the plan is to return the large and very heavy coping stones to the lock chamber. 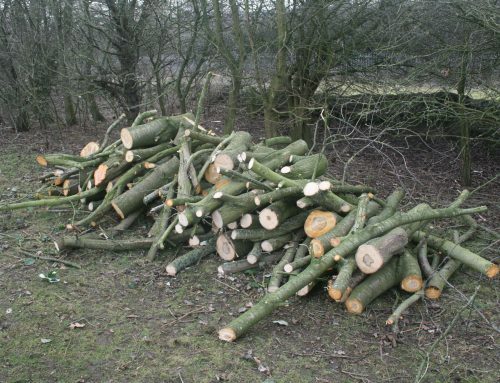 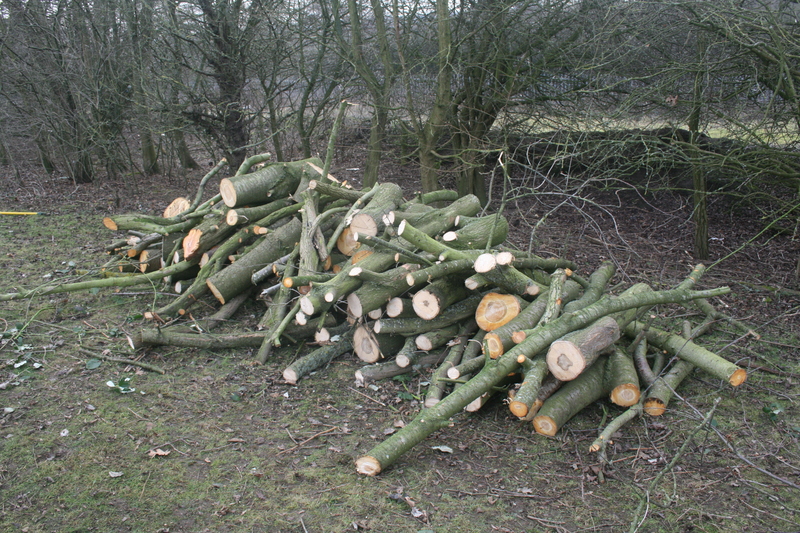 This funding will assist with the hire of the appropriate machinery to assist in this task. 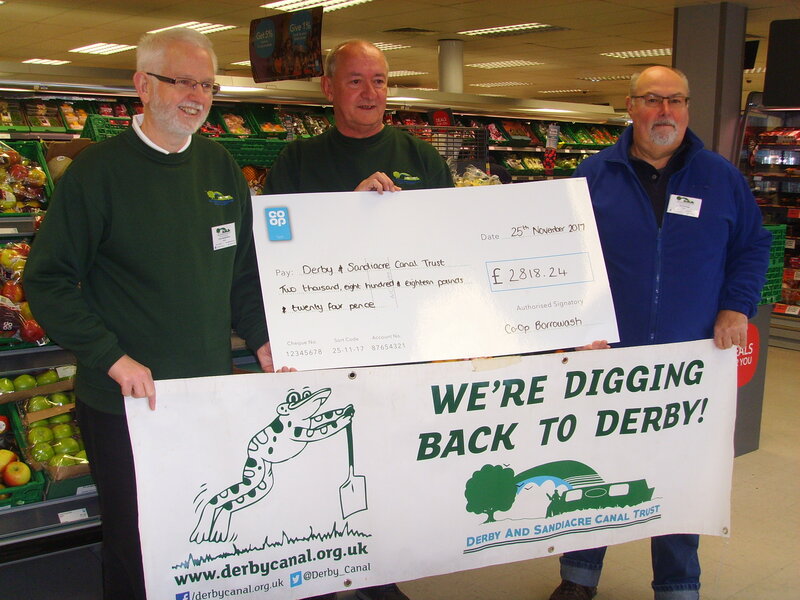 The Cheque was collected by Society Chairman Eddy Case (centre), Treasurer Chris ReesFitzPatrick (left) and Vice-Chair David Savidge (right).